Be prepared for back to school 1st day of school pictures. Just customize this FREE printable chalkboard sign for your child. 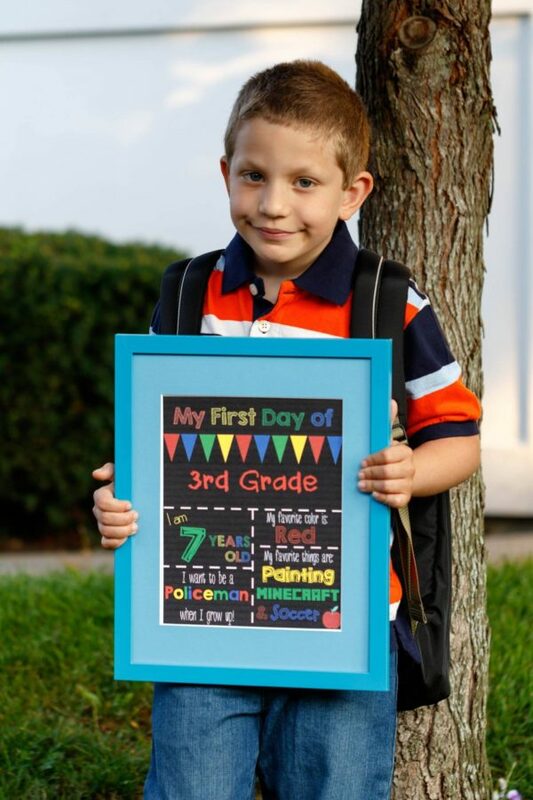 Click here to get these FREE First Day of School Chalkboard Sign Printables from Bear Hugs and Blanket Forts.